Ohanian Comment: On October 29, 2014, The New York Times published an opinion column by Frank Bruni, repeating most of the old and some of the new propaganda claims from corporate education reformers. The New York Times censored me today--withholding my comment that if readers want to understand economics, they'd better read Krugman, not Bruni, who's just an echo chamber for corporate America. 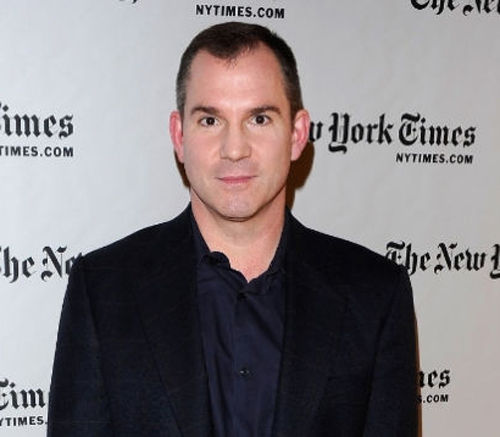 New York Times propagandist for corporate "ed reform" Frank Bruni.They posted some over-the-top whacko comments--such as this one. "Reader Comment: One way to improve the quality of teachers to is ban women from other professions. It is likely why the quality of teachers once was much better." But they did post some tough, spot-on comments. I include two. Reader Comment: AJ: As the former Chief Prosecutor for the NYC BOE, I can say without any doubt, that your comment is right on the money. I NEVER had a problem terminating a tenured teacher IF the proper documentation was prepared. I had a very high success rate terminating tenured teachers because I followed the law and was trained as a Prosecutor in the knowledge of trying a case. The former Chancellor Klein did not want to hear it. He did not want to learn or hear about terminating a tenured teacher BECAUSE he wanted/wants to end tenure. Again, just so we are clear, I never had a problem terminating a incompetent tenured teacher IF the administration did their jobs. Klein had blinders on the whole time he was Chancellor on the issue of the 3020-a administrative hearings required to terminate a tenured teacher. It was proven (by me)that termination was not impossible yet totally ignored because of politics. Here's another comment. I'm not posting the name because I haven't asked that permission. But it's the same as my favorite student my first year of teaching in New York City. Of course it's a coincidence but. . . it sure brings a smile. Reader Comment: I would suggest Mr. Bruni speak to others outside the inappropriately named "ed reform movement" before he expounds yet again on education. His previous column on tenure was based on observations of someone who taught two years then went into administration. Nearly one third of teachers leave before they are even eligible for tenure due to attacks such as this and a lack of support from our leaders. Mr. Bruni's advertisement for a book on education by Joel Klein, a man who boasted of playing games on his cell phone during parent meetings, who was sued by parent groups and reprimanded by the state for his efforts to lock parents out of the educational process and who closed schools based on real estate deals with Eva Moskowitz (yes, after a long fight we got to see the e-mails) and who yes, demonized teachers as "the problem" while agreeing with Michael Bloomberg's idiotic notion that 50 students in a room with a "effective" teacher (defined how?) is educationally sound. And that's just the tip of the reform iceberg. Mr. Bruni, go to some schools, rich and poor, city rural and suburban, large and small. Talk to teachers during their lunch periods (oh, another union perk, sorry) and tell them how you feel and why. You may get an education.